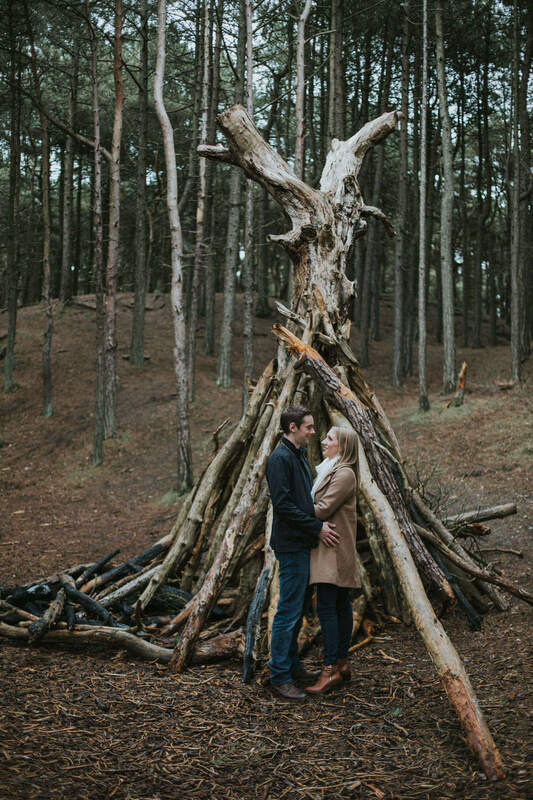 We met up with Liz and Nick this afternoon at Formby beach for their pre-wedding shoot - and wow! what a day we had! 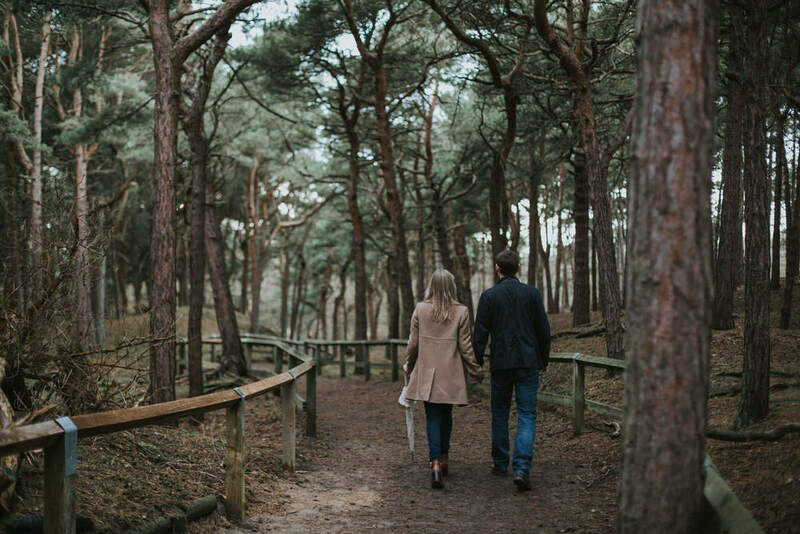 Liz and Nick had been to Formby a few times and knew the place well, which was pretty handy for us ;-) We started on the squirrel walk towered by huge redwood trees all around us - there was gorgeous nature all around us so we were spoilt for choice of backdrops for our shoot! The towering redwoods made for a nice backdrop with Liz and Nick either side, there were also crafted redwood 'huts' which made a nice feature for a couple of shots too :-) we also managed to spot 4 (FOUR!) red squirrels whilst we were out posing and shooting, which was nice to see! Fortunately for us the rain held back but gifted us with the most dramatic dark clouds for out beach shots. The tide was also out leaving some nice large puddles for a seascape reflection shot :-) We then took a nice long stroll down the Formby beach front which allowed me to capture the moody greys in the sky along with Liz and Nick walking hand-in-hand together. We then took a much deserved break with a sit down in the dunes where we managed to capture an intimate moment with them together. 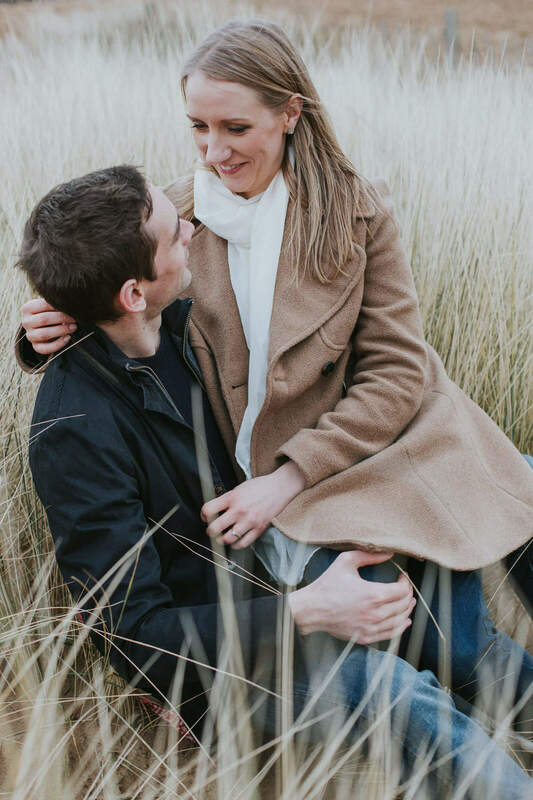 We're really looking forward to meeting up with Liz and Nick again where we'll be their Ashfield House Wedding Photographers in March!